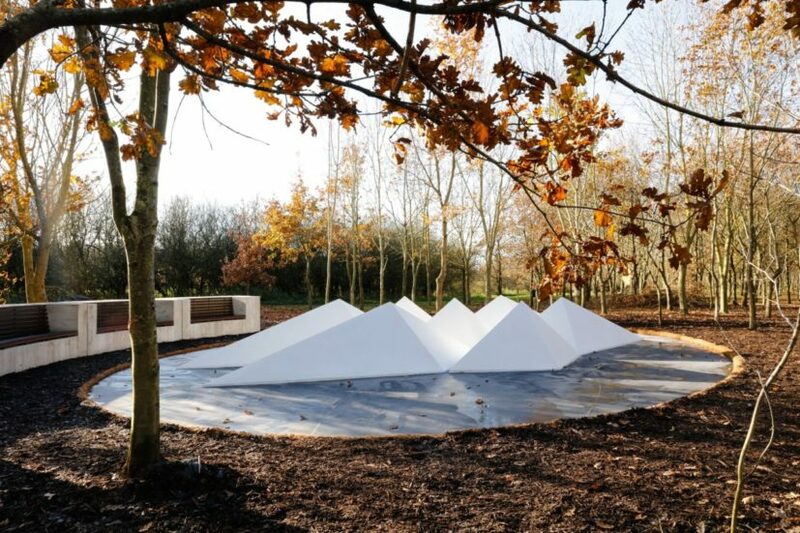 British sculptor Alison Wilding RA and Adam Kershaw have created a new National Memorial to British Victims of Overseas Terrorism at the National Memorial Arboretum in Staffordshire. 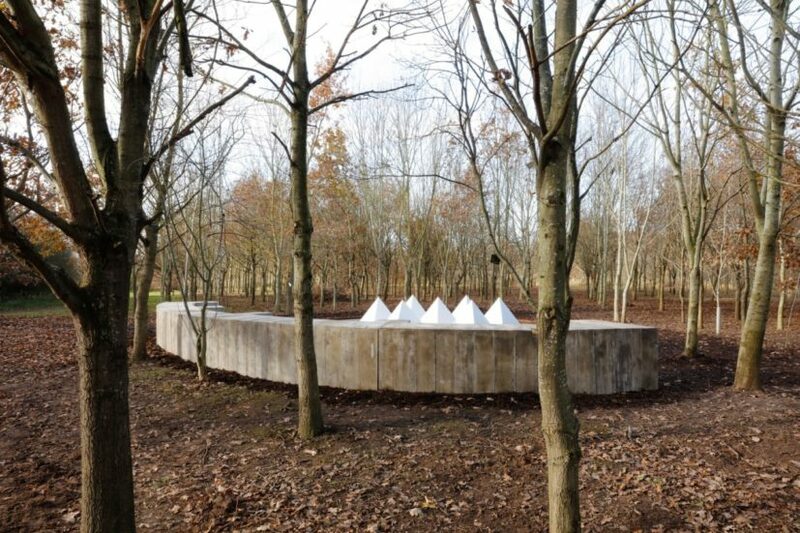 The commission has been managed by the Contemporary Art Society Consultancy for DCMS and is situated in a woodland glade, planted with wildflowers. The memorial consists of a dark concrete ellipse that has been hand-trowelled to give the effect of ripples on a pond. Brass meridian lines crisscross the surface and seven pale concrete lozenges rise out of it, referencing a mountainous terrain. Three elements – water, land and air – come together in the work, which is titled Still Water, 2018. 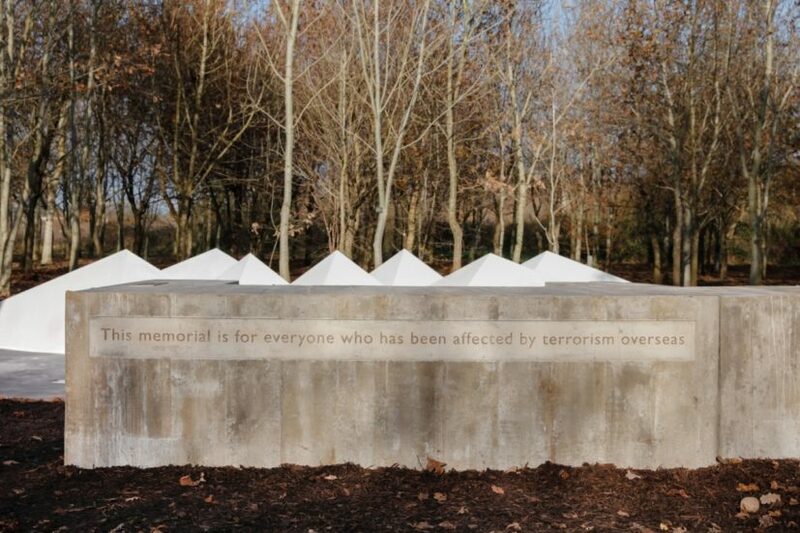 The design was developed following a public consultation which gathered views from the families of victims of terrorism overseas, and the general public. 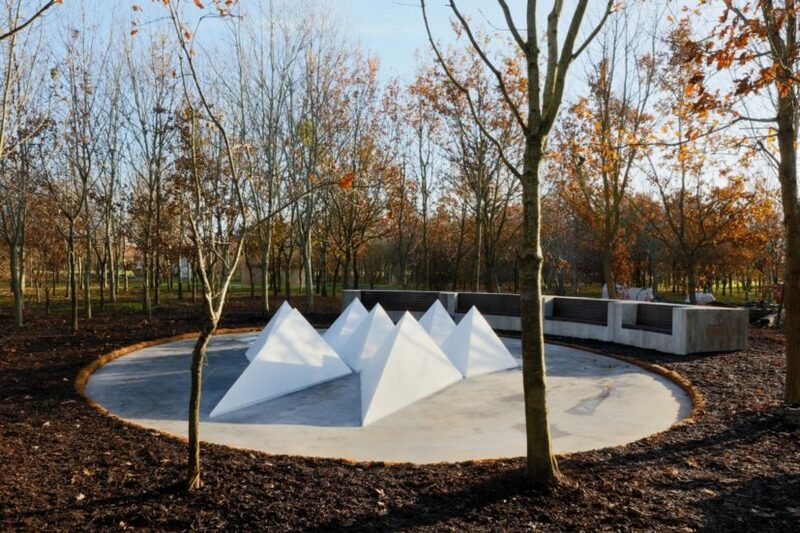 Fabienne Nicholas, Head of CAS Consultancy said: “Alison Wilding is one of the UK’s most esteemed contemporary sculptors and it has been extraordinary to be involved in Alison and Adam’s process of translating these monumental moments of grief into a place where peace can be found. The memorial vividly demonstrates the power of art to express the human condition in ways that have profound meaning to all-comers”. Alison Wilding said: “Like most people I have no personal or direct connection to any act of terrorism either here or abroad but I felt that a sensitive memorial should be a ‘place’ and not an object spewing out information. I therefore approached it as a sculpture that would hopefully sidestep politics. 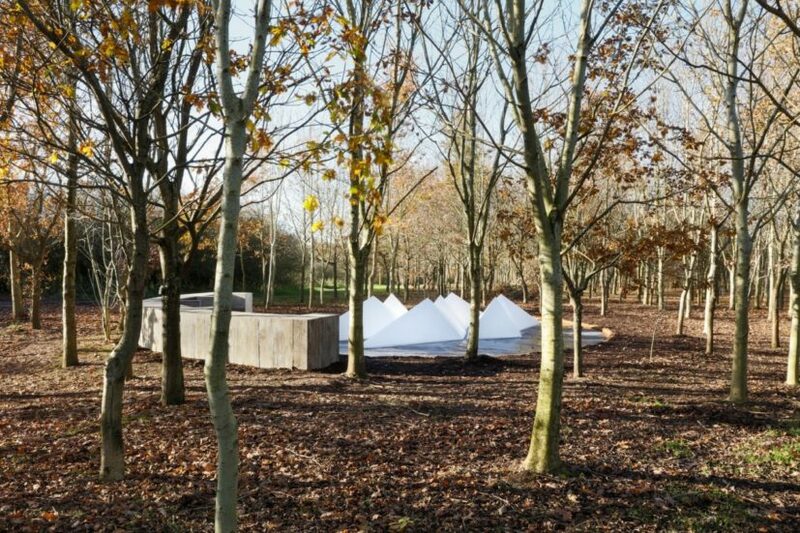 Sited at the National Memorial Arboretum in Staffordshire it would necessitate a journey for most and this seems appropriate in that it would become a destination, and anything experienced after a specific journey inevitably becomes imprinted on the memory. A dedication event for the families affected by overseas terrorism took place at the memorial on 17 May 2018.